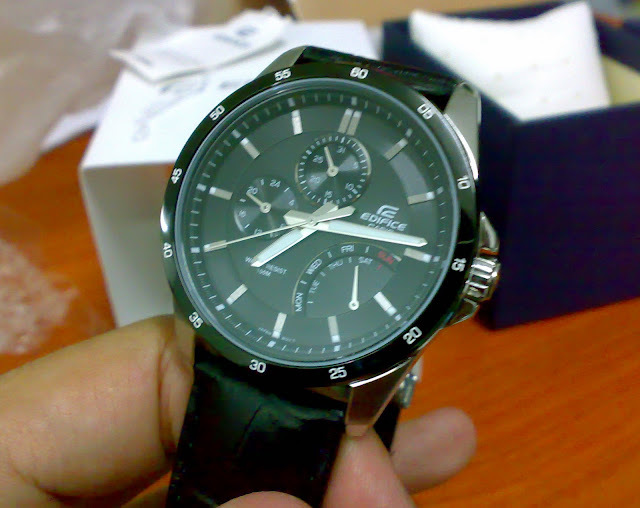 In my previous post, I talked about this Casio watch (http://jdx7071.blogspot.com/2011/10/casio-ef-341l-1av.html) that I wish to buy. And last few days, I finally made my decision and bought this watch from a forumer at forum.lowyat.net. 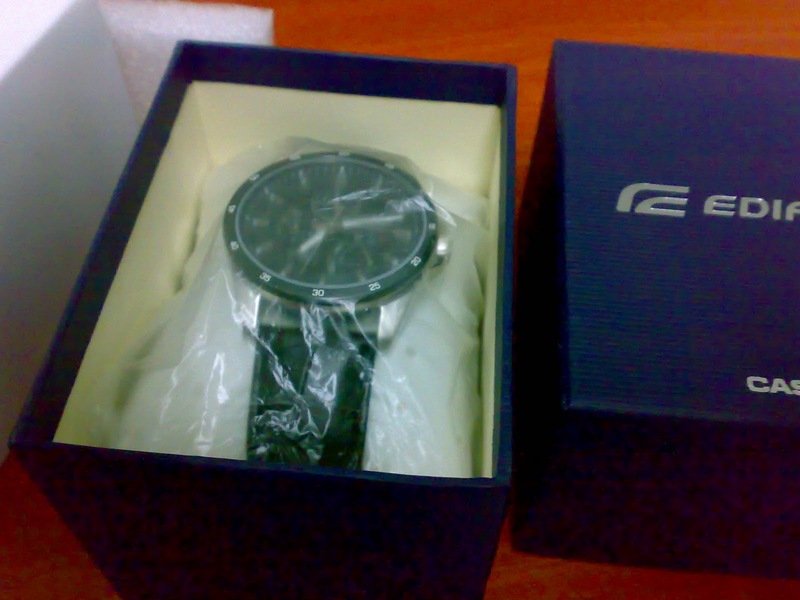 The price of the watch is RM280 and he gave me free Poslaju shipping. 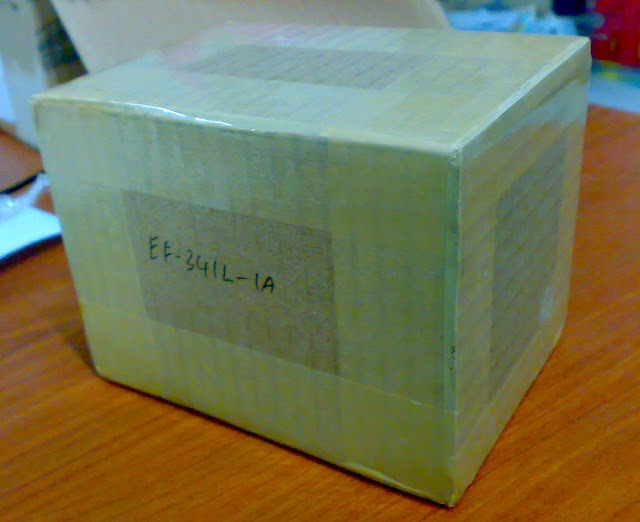 Today, I receive my Casio watch. It arrive by Poslaju in a nice packaging. 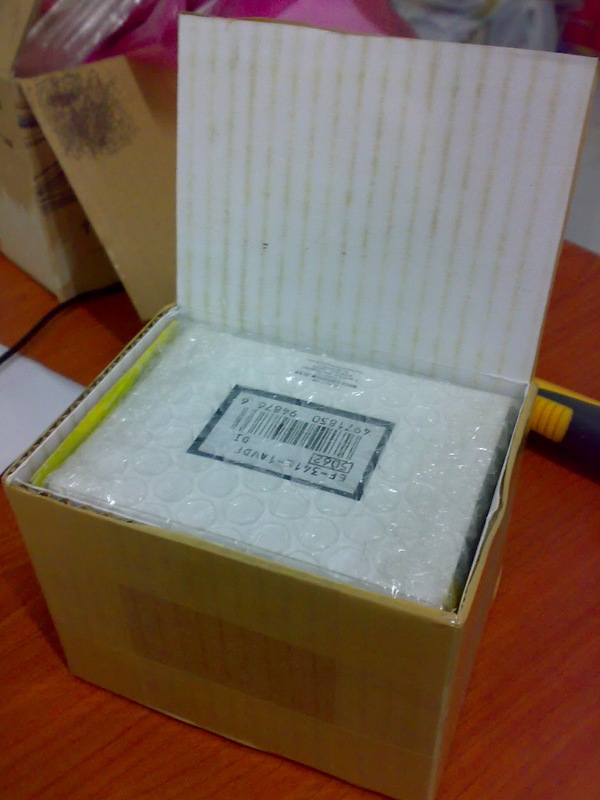 I will show the images of the opening process of the package. 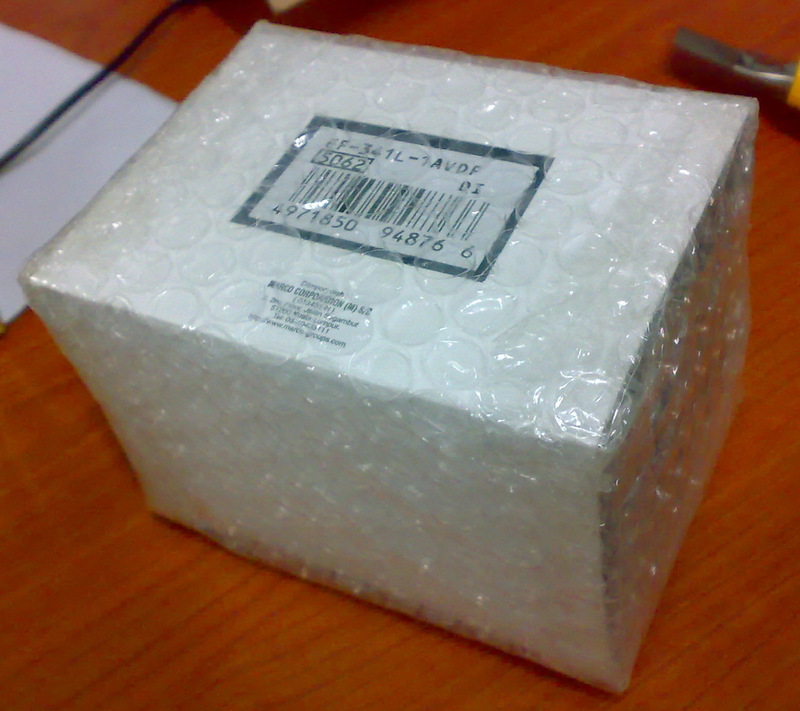 Packed nicely using bubble wrapper. 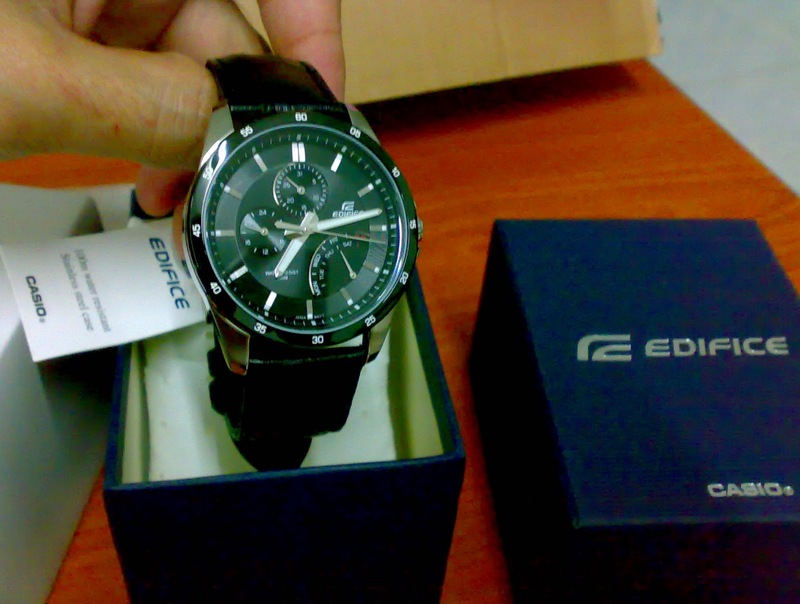 The box of the watch, with Edifice logo. Everything looks good, I set the time, date and day. The whole watch look nice on my hand, and I LIKE IT! 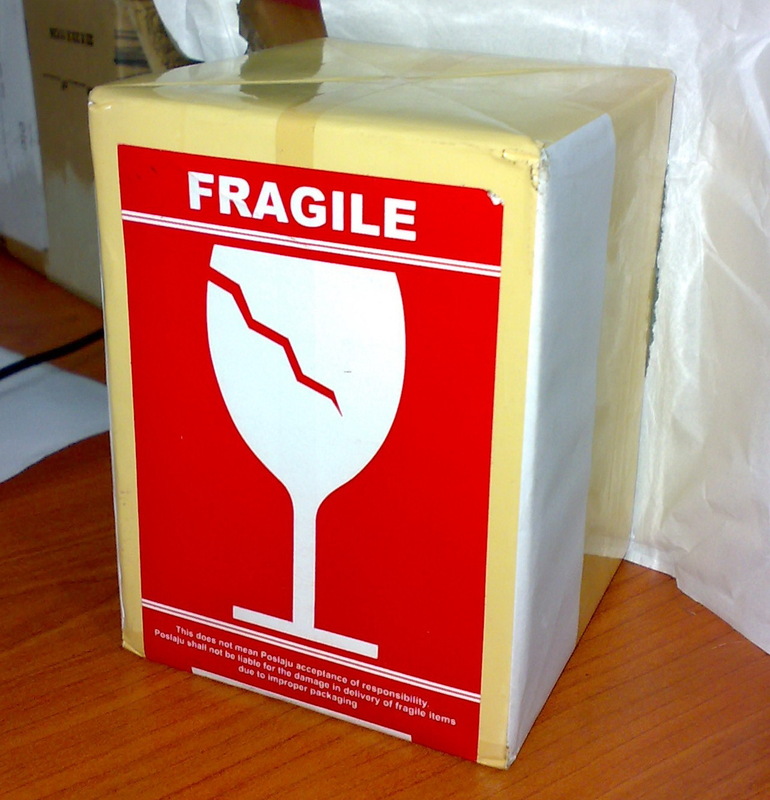 i'm going to buy one.